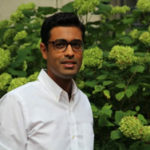 Professor Amit Khandelwal is a Professor of Finance and Economics at Columbia Business School. His research focuses on the link between international trade and economic development. He is a Co-Editor of the Review of Economics and Statistics, and holds affiliations at the NBER, IGC and BREAD. He received a PhD in economics from Yale University in 2007.